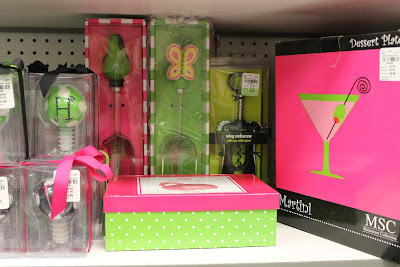 Recently, I discovered the most interesting store that has preppy goodies at amazing prices. 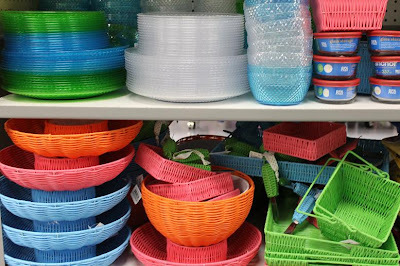 Tuesday Morning is similar to HomeGoods with an emphasis on household goods. The rugs, furniture, seasonal décor, and kitchen items are name brand and high quality. 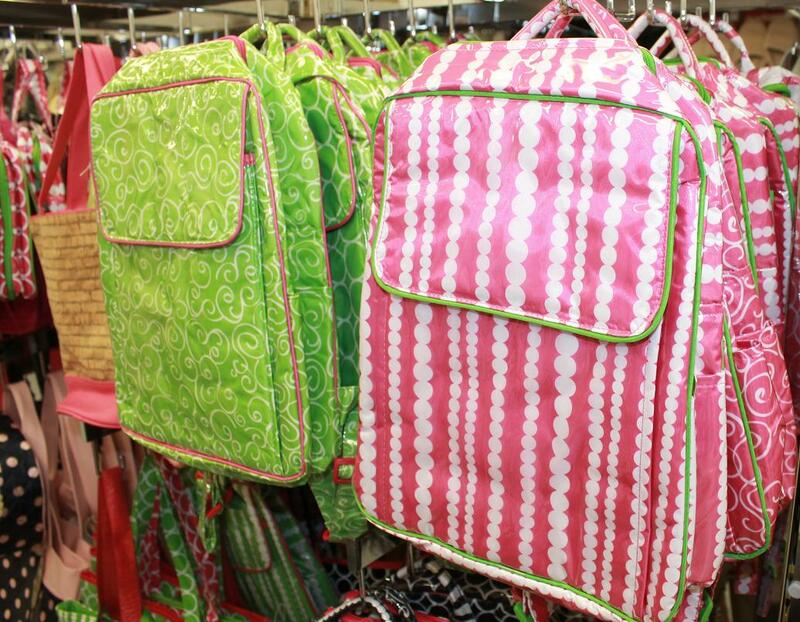 Here’s a sample of the preppy items you can find for less at Tuesday Morning right now. 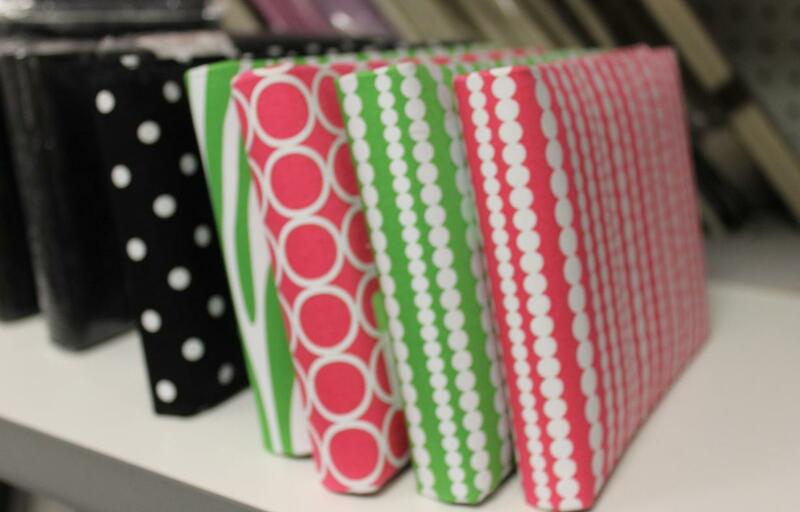 Preppy pink and green photo albums are a perfect little gift. You can also find oodles of initial embroidered totes, make up bags, laundry bags, and stationery. 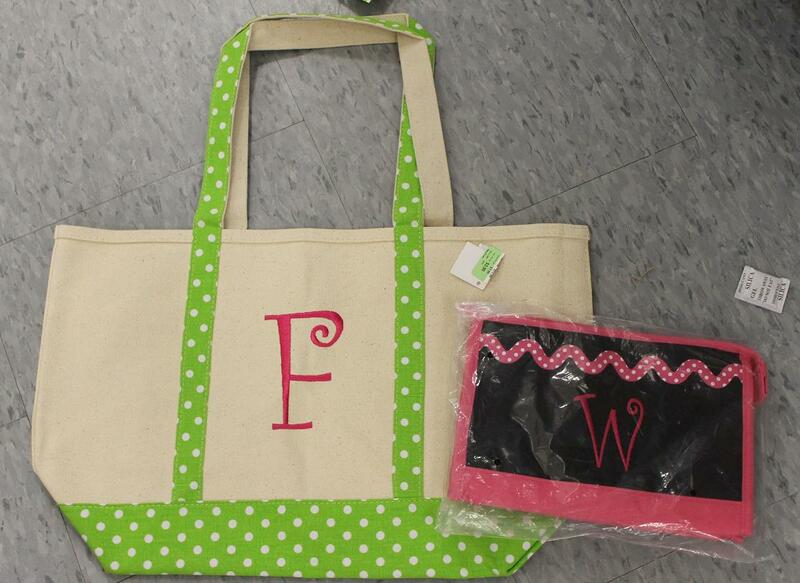 The tote bag is only $7! Preppy backpacks for your favorite minnie for under $10. Planning a preppy party? This is the spot for you. Preppy melamine trays in sports motifs are adorable for football tailgate parties. 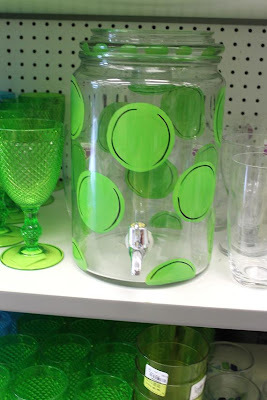 I sure wish I would have seen this preppy green polka dotted drink dispenser before my sister's baby shower last weekend. It's adorable! 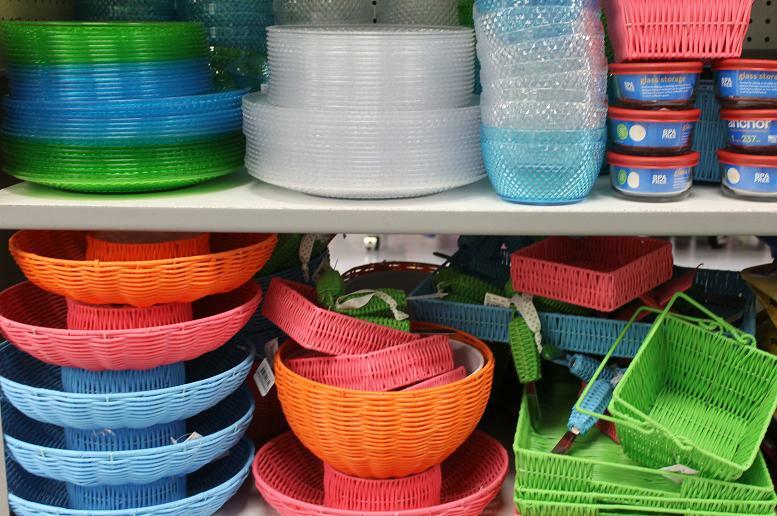 Add some color to your preppy picnic or outdoor party with these adorable woven accessories. 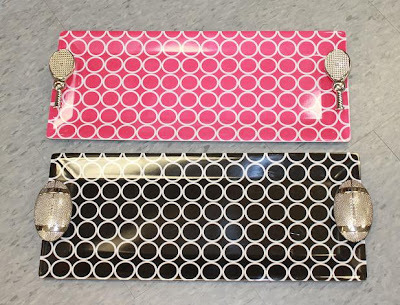 The initial glasses, ice scoops, wine stoppers, and party plates are fun for a girls night out and make fabulous gifts. 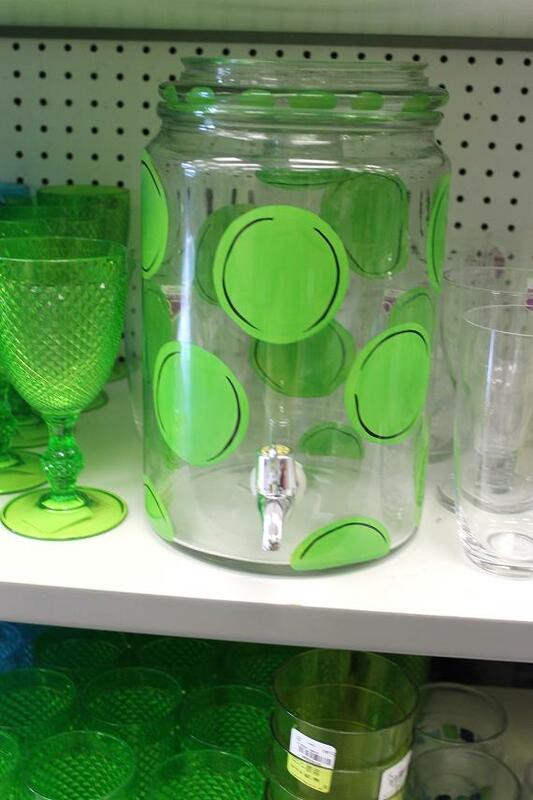 The wine stoppers are only $2.99! Find a Tuesday Morning where you live. I'll keep this store on my radar and will let you know when the latest preppy goodies arrive. Oh you hit a sweet spot! I love our Tuesday Morning here in Savannah!! I'm getting ready to stake ours out for the new Fall goodies! Oh my goodness this place looks too good to be true! And I guess it is as there don't appear to be any near me! Love the photo albums, we have a Tuesday Morning but I've never been inside! I love Tuesday Morning!! I am always running in to see what new goodies they have. They really do have so many great items that are perfect for a hostess gift. I am going to run over today! Thanks so much for the heads up. @Twist of Lime You're right! Leesa would love that tray. Let me know what all of you find at your Tuesday Morning. You found the cutest things, Bethany! There is a Tuesday Morning in the shopping center next to our neighborhood but I usually skip it. I think I'll need to rethink that when I'm over there this weekend. I think I need to hit up TM asap! I have not been in about a year, but it seems like they have many more goods these days! Thank you for the tip Bethany. there's a tuesday morning right on the edge of a good neighbourhood, but it's the most gawd-awful place i've ever been. it's all trashed and dirty. everything's falling off the shelf and is jumbled. i rarely go there, even though it's very close.